In May 2018, migrant students and parents from Riversdale CC sat Cambridge Assessment English language exams. While parents and students attended separate classes to prepare them for the exams, they came together to receive their certs. The cohort of 29 parents and students from Riversdale CC sat a combination of four Cambridge Assessment English exams: A2 Key (KET), B1 Preliminary and B1 Preliminary for Schools as well as B2 First for Schools. This initiative shows that the DDLETB DEIS school is working hard to support access to the curriculum for the young people in their school as well as to support the social inclusion and lifelong learning of their parents. 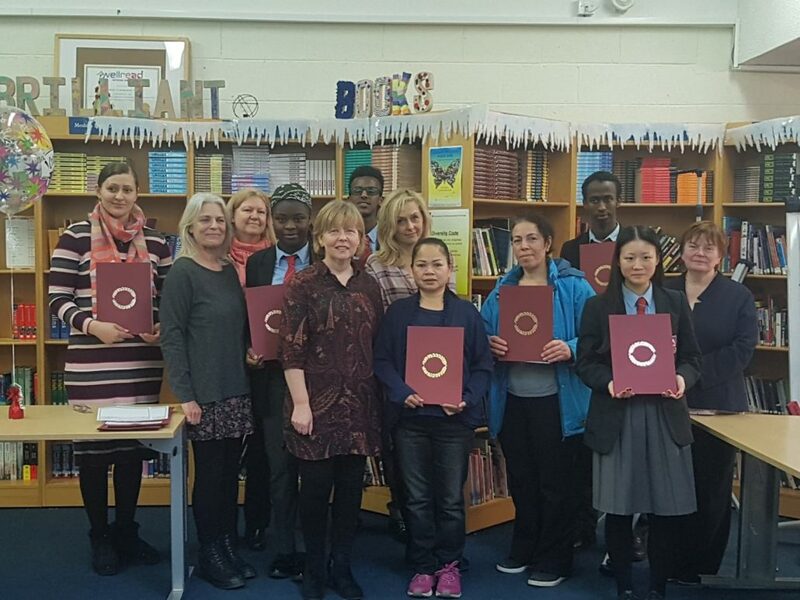 The photo shows some of the students who have received their certs with the teachers who prepared them to sit the exams as well as the school principal Bernadette McLoughlin. Congratulations to all of the students who worked so hard and their teachers who supported them.